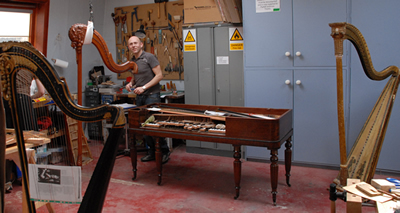 From the restoration and conservation of antique harps from 18th and 19th century, to an extensive and expert harp repair service for modern harps, we are your first port of call for all harp matters. 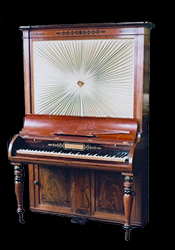 Recently restored and repaired harps include Erard and Naderman as well as Welsh Harps and other folk instruments for collectors and professional player alike. Our harps have been sold in the UK, France and further afield. Michael Parfett will be visiting the Netherlands, please contact us if you would like your harp serviced. American Harp Society 50th Anniversary Conference in Times Square, New Yor City - Michael Parfett will be attending, find our stand.